Tecan is a leading global provider of automated laboratory instruments and solutions. We can support you to develop your own customized solution. Are you looking for a single customized instrument to automate your specific workflow? The Tecan Labwerx™ group will support you consulting and translating your manual processes to the desired automation level. 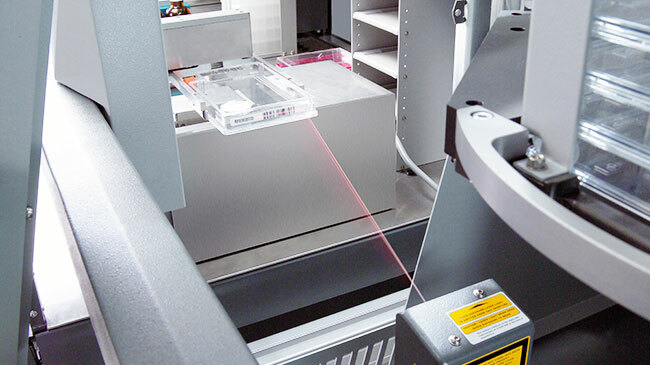 The integration of numerous instruments into a customized Tecan system allows the automation of a wide range of laboratory applications ranging from cell biology, protein science, sample preparation and chemistry. Are you looking for an OEM partner who can support you from idea and concept to series production? Are you interested in a customized solution for the IVD market? The Tecan Partnering concept specialists bring perspectives that are grounded in the demands of diagnostics and life science instrumentation, combined with Tecan engineering excellence, enabling them to develop creative solutions to your design challenges. With every Cavro pump, robot, and valve, Tecan is behind you to give you control over your own development and confidence in your final products.